As the land of extremes in the far east - Japan has been a major bucket list item of mine for a long, long time! How gracefully it manages to infuse the futuristic with the traditional is beyond belief, but indeed a mixture that makes for a unique stay! Japan sure has it all and I have tried to fit a bit of it all in this two week itinerary. Alas, enjoy this taster platter of Japan! Pick and choose from the plan below as you please, depending on your interests and priorities. 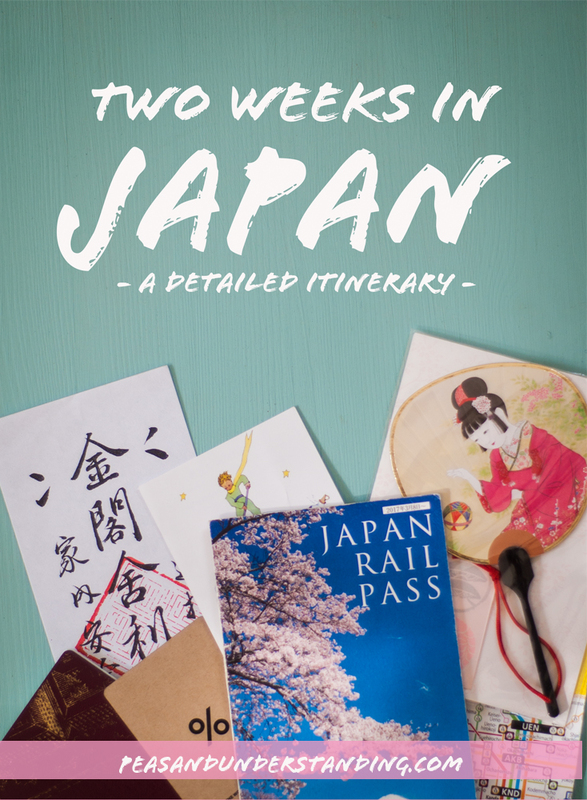 This itinerary is good if you are, like I was myself, visiting Japan for the very first time as it covers everything from rural countryside to glimmering neon signs. 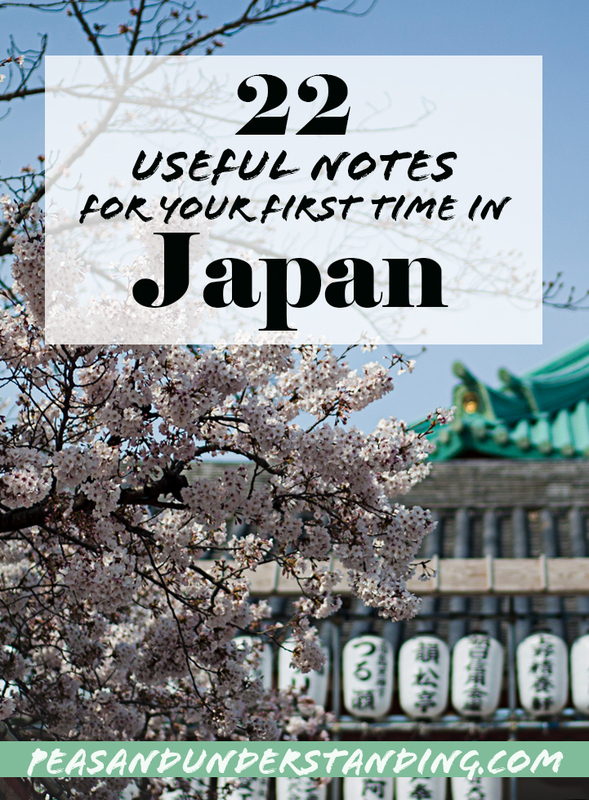 I find browsing pinterest the perfect way to get fun inspiration for your trips, or maybe try and chase down the settings from Lost in Translation or Memoirs of a Geisha? If you are planning on travelling longer distances, investing in a Japan Rail Pass is definitely worthwhile. The passes exist in 7, 14 or 21 day formats, and you can also choose between a standard or a green (1st class) pass. We bought the standard 14 day one for JPY46'390 (£322). An important thing to note is that you must order these prior to arriving in the country. Once ordered, an exchange order will be shipped to your door (within a couple of days in my case! ), which you exchange for a valid pass once in Japan. Please note that the pass is not valid on every single train in Japan. It does not cover private railways, nor the fastest of bullet trains like Nozomi or Mizuho. 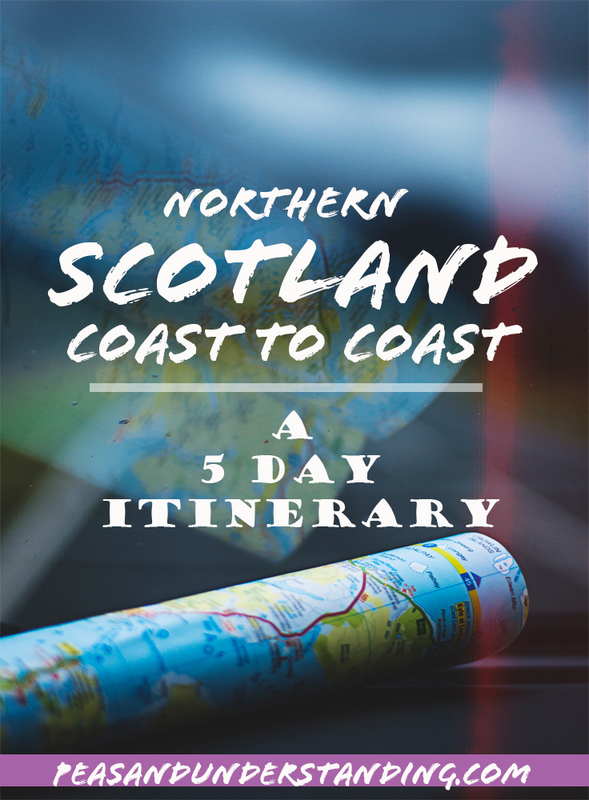 If you are unsure whether or not purchasing a pass is worthwhile, you can use the website Hyperdia to search the routes you wish to travel and see approximately how much it will be. The best part of the pass is that it saves you time from having to line up at every train station to purchase an individual ticket. How is Japan for Vegans? I am not gonna lie, it was a bit of a struggle at times! Sure, the bigger cities will have plentiful restaurant that cater for (or are in fact fully) vegan. You only need to hunt them down, and this is where HappyCow is your guiding star! It needs to be said that the hunt was normally worthwhile, as we ended up on real gems of eateries. The thing you need to look out for is bonito flakes, namely dried fish flakes, that the japanese love to sprinkle on EVERYTHING. Same goes with fish sauce. The best thing you can do here is to plan ahead. Check the area you will be around that day on HappyCow to know your options; and bunker up on plain onigiris and bananas whenever you can find them at 7-Eleven or FamilyMart! 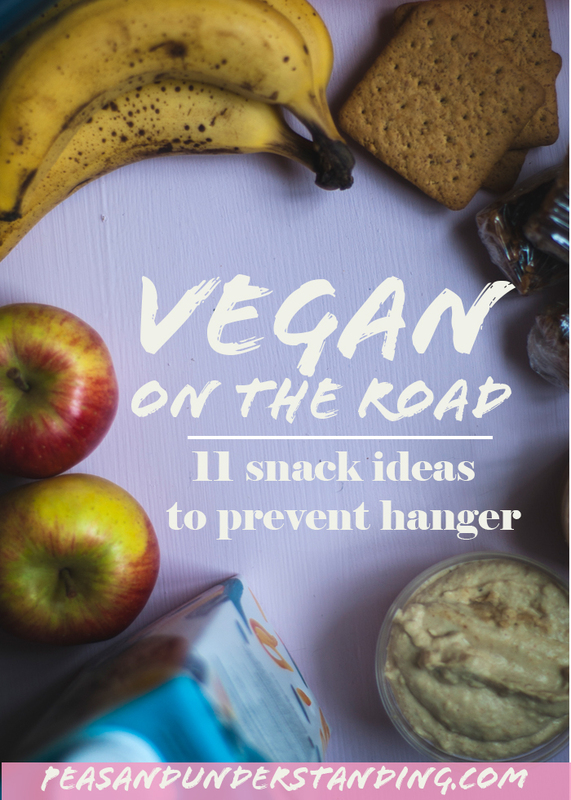 Rather safe than hangry! 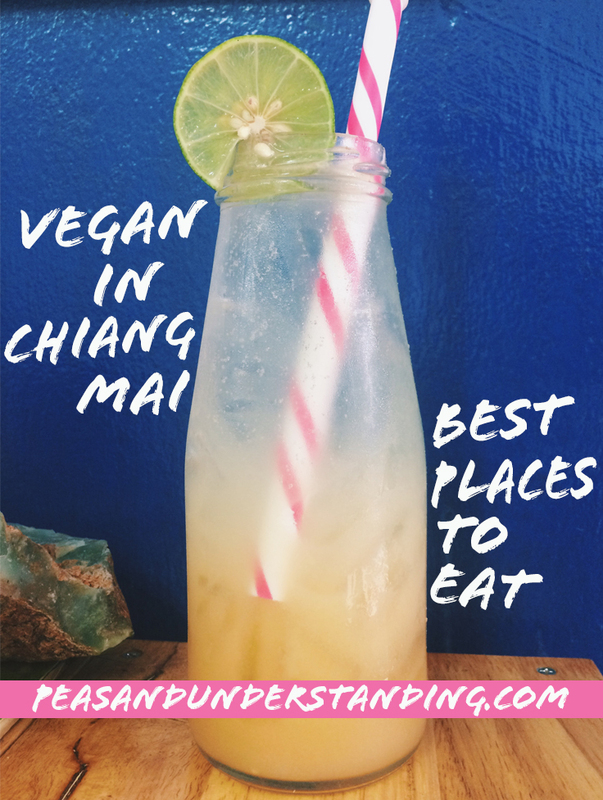 Be safe knowing that all the recommendations in this itinerary are vegan friendly. Is Japan as expensive as they say? If we are to compare Japan to other parts of its continent, then yes of course Japan is expensive! But I would not be too disheartened by this. Sure, it is not a cheap country to visit but having lived in Sweden, the UK and Australia the past years I would say that the prices are somewhat compatible. You can get a coffee for £2 and a restaurant lunch at £7. You can save a lot depending on the accomodation you choose. Where we stayed ranged between £24 to £200/night between the two of us. (That latter one when we decided to splurge with an onsen and fancy food inclusives!) These places are all listed below. AirBnb's and hostels will be your best bet for not breaking the budget - this will also allow you to cook your own food rather than having to eat out at all times. Eat like the locals - purchase onigiris and bento boxes for lunch. The day off arrival, we merely got settled into the airbnb then had dinner in a chilly Shinjuku as night was falling. The early bird can queue up outside the Metropolitan Government Building that offer a free view from one of their towers. Supposedly one can see all the way to Mt Fuji under the right weather circumstances! More things to do in the capital follows at the end of the post, when we return. For the photo journal of Tokyo - click here. We stayed at an AirBnb in not-so central Ikubukuro at £31/night. The place also offered a mobile wifi, which seems pretty standard for japanese airbnbs. Use it - it can be quite the lifesaver out on the streets! If you are new to AirBnb - sign up using this link to get £25 off your first trip. With it being high season (cherry blossom time!) accomodation was filling up quickly; I am positive, had we not been so stubbornly last-minute, we could have found similarly priced housing even more central. Of course, when you travel for a short period - time is money, and we could have easily "earned" an extra hour a day had we not needed to commute to get to the centre. However, the neighbourhood was really quiet - almost a surreal idea to think we were still in Tokyo - which was a nice break from the buzzing of the city. 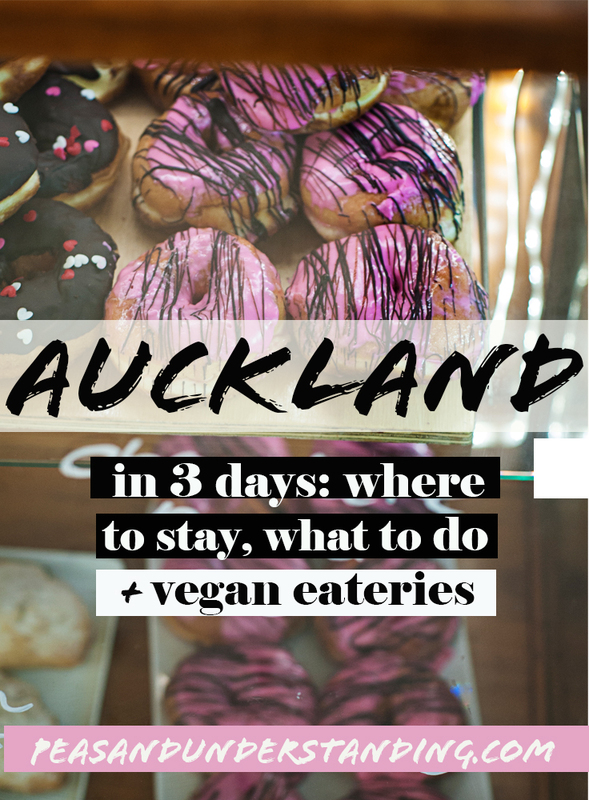 The bigger the city, the bigger the chance of vegan grub! We tried chain Ain Soph (twice, accidentally! )- doing falafel, "cheese"burgers and even vegan tiramisu; we had the lunch buffet at Milan Nataraj and the fresh sushi at the Tsukiji Fish Market - pick the veggie starters and make sure there are no bonito flakes sprinkled atop. We activated our JR passes already at the airport to maximize our use. There was a bit of a queue to do so, but grab yourself a coffee from the nearby Starbucks while waiting. The ladies at the JR office then got us on a express train right to Tokyo Station. You can use your JR pass on the city circular line Yamanote; this will stop at all the major city centres like Shibuya, Shinjuku, Ueno, Ikebukuro. As a complement, buy a suica-card to use on the subway. It runs on a pay as you go-basis, similar to Melbourne's myki or London's oyster card. The suica cards can be found in vending machines around the subway stations. Most people go to this area to watch the Snow Monkeys of Yamanouchi, as did we! Note that it is not possible to do this entire route on the JR pass, it includes an extra cost of circa JPY2'740 along with the JPY800 entrance fee to the park itself, but it is a really cool excursion. (If but a little nerve wrecking after my previous encounter with monkeys.) To get to the park, we walked through the forest for about an hour - which was a delightful experience if you have the time for it; otherwise most hotels will arrange a carpooling service up there for you and other guests in the morning free of charge. The other major attraction was the possibility to stay in a traditional ryokan in little spa town Shibu. It is said that if you bathe in all 9 of the onsens, it will bring you luck. The water from each bathhouse is good for different types of ailments. Well for one my throat, that was so sore when we first arrived that I struggled to get more than 3 words out my mouth at a time, was in a much better state the following morning. (Meaning, I managed to sound more like human, less like Chewbacca.) Walking around the cobbled streets with the click-clack of our geta sandals hitting the ground, using umbrellas to cover ourselves from the still snowfall, was indeed one of the most memorable parts of the trip. 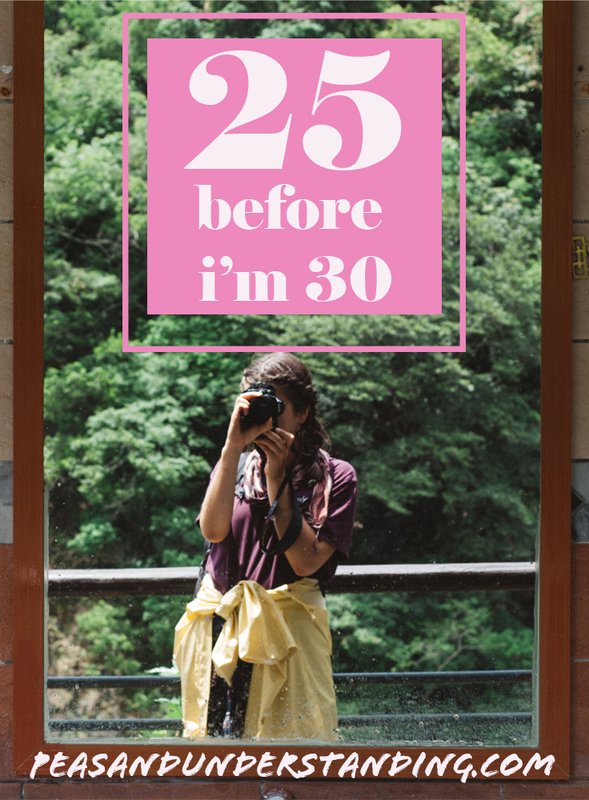 For the photo journal of our time in Shibu Onsen, click here. We stayed at Senshinkan Matsuya - a traditional ryokan where the owner expects you to walk around in the provided yukatas to get the full experience. This was one of our pricier stays, at £121/night for the two, but this includes half pension (dinner & breakfast) and was nice to be able to spend a little extra for an extra special experience and the food that was prepared at the hotel was a delight on its own. We enjoyed both dinner and breakfast at our ryokan, but there are a few restaurants located in the village too. Most seem to close at a fairly early hour though, so make sure you double check the hours. Food was served sitting on the floor in our robes; being served what felt like a thousand tiny dishes. I had requested vegan food in advance while making the reservation and this was not a problem - tonnes of tofu and mushrooms flew my way! We took the train from Tokyo to Nagano (100 mins), which was covered on the JR Pass. From Nagano we took a local train to Yudanaka (50 mins, JPY1'160), from where we had to take a local bus (5 mins, JPY210) to the village of Shibu. Note: From Tokyo it is a good idea to reserve a seat on the train as they fill up quickly on this route to Nagano, which is a big transit hub. We decided to risk it and manage to get spaces in the non-reserved wagons. Japan's ancient heart - and one of the cities I was most looking forward to visit on this trip. There is plentiful to see in and around the city. Upon arrival, we walked around Kyoto Station which is a sight on its own - visit at sundown for free pastel sky views over the city. The next morning we went to the Arashiyama Bamboo Grove, spent the afternoon at the buzzing Nishiki Market and then onto people watching in Gion. The following day started at Kinkaku-ji, or the Golden Temple, along with all of Kyoto's other tourists. After lunch, we walked the Path of Philosophy and then decided to spend another afternoon of coffee and browsing through Gion. At dusk, we were off on the train out to Fushimi Inari Taisha- the thousand red torii gates leading up Inari-san. The entrance will be crowded with tourists trying to get a selfie; but to avoid both being and having photo bombers every five steps, climb further up the mountain, as the crowd will lessen. There is also a stunning view over Kyoto about halfway up the hill. On our last day in Kyoto, we had a lazy morning with more % arabica coffee before deciding to go see a Geisha/Maiko performance in Miyagawa-cho district. For the photo diary of Kyoto, click here. We stayed in two different AirBnbs. Again, due to last-minute planning. One located very centrally; the definition of compact living and an excellent starting point for exploring the city, at £29/night, and the other a larger, more suburbian one, yet only a minute walk from the subway station, at £15/night. Sign up to AirBnb using this link to get £25 off your first booking. The choice for vegans in Kyoto is thankfully plentiful. I already designated a seperate post for Choice that make their own vegan cheese. 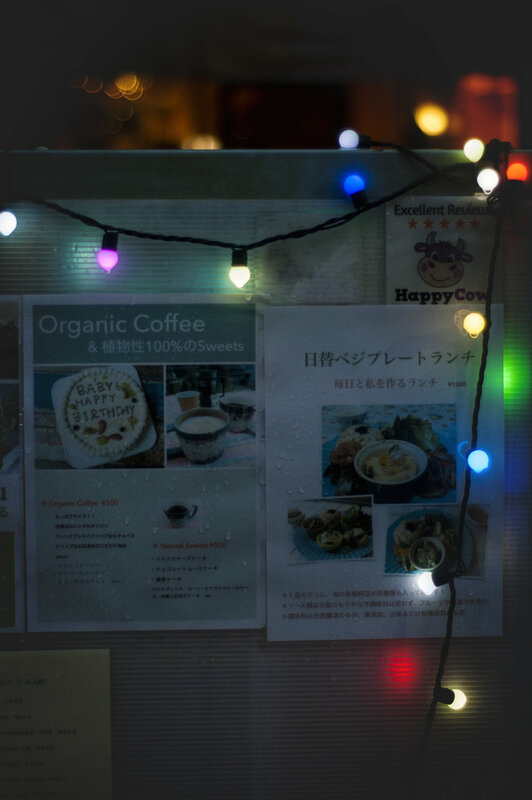 We also tried trendy artisan coffee shop % arabica, Tamisa Yoga Café and hidden oasis Hale at the Nishiki Market. From Shibu Onsen, we travelled back to Nagano via the local train (5 min bus, 50 min train). From there we used the JR Pass, hopping on a train to Kanawaza (60 mins) and there changing to the Kyoto one (90 mins). Around Kyoto you can go to most attractions a bit further from the centre using the JR Pass; like to the Arashiyama Grove (Sagano Line) and the Fushimi Inari (Nara Line). Alternatively, use the same suica-card as in Tokyo for the subway. They also work on the bus, which is a convenient place to travel to places like Kinkaku-ji. These cards are readily available from vending machines at the subway stations. From our nest in Kyoto, we took the train out to visit both Nara and Osaka. Nara is most famous for the somewhat 12'000 deers roamig around the town, along with housing one of the world's largest bronze statues - their near 15 metre Daibutsu ('giant Buddha') Statue - held at the Todai-ji, which in turn happens to be one of the world's largest scale wooden buildings. Quite the Guinness World Tour! The town is fairly compact so you can easily walk around it in a couple of hours. To Osaka we went on a whim, and thankfully so. 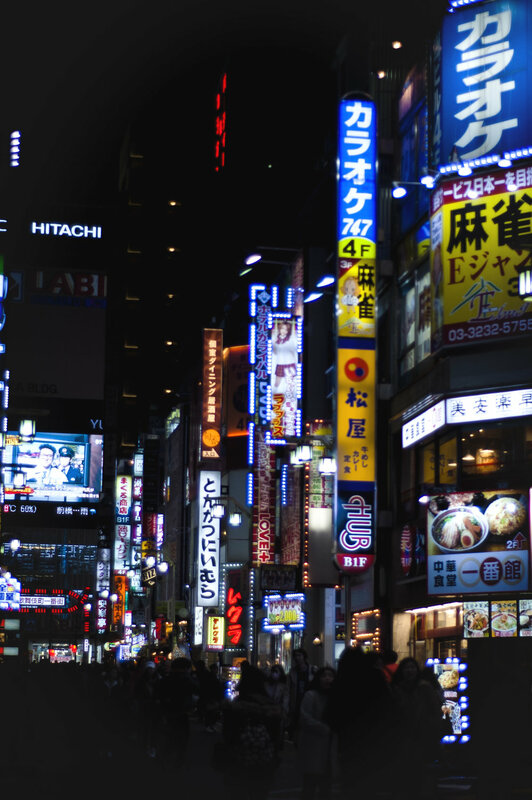 We toured around the concrete jungle using Lonely Planet's City Walk "Sights of Minami" taking us through Amerika-mura, through the shopping arcade of Shinsaibashi-suji and finally along the glittering neon lights along Dotombori Street. For the photo diary of Nara & Osaka, click here. In Nara, we had lunch at Kinatei close of the train station. We sat around the counter, where the owner was serving the food in a canteen style manner while chatting away to her costumers in both English and Japanese. The food was very traditional Japanese. In Osaka, we found gem Le Coccole, that I dedicated a whole post on. From Kyoto Station, we caught the JR Nara Line out to (surprise!) Nara Station (45 mins). Nara is small enough to walk around, but to get around urban jungle of Osaka you can use the suica card. From Nara we took the JR Kansai Line to Namba Station (45 mins) in Osaka. Back to Kyoto you can catch an express train to get from Osaka in only 14 minutes, we went with the JR Shinkaisoku line which took the double of 28 minutes but required less waiting at the station. For the photo journal of this excursion, click here. We brought along some onigiris and fruit to eat along the hike, as the options of vegan grub like expected was limited up on the mountains. There are however cafés located at the bus stations in both Magome and Tsumago. From Kyoto Station we took the train to Nagoya (35 mins) and then onto Nakatsugawa (75 mins). From Nakatsugawa there is an hourly bus to Magome (30 mins, JPY540). At Tsumago, take the bus to Nagiso Station where you catch a train to Nagoya (65 mins) and then back to Kyoto (35 mins). This excursion can also be done as part of a trip between the north and Kyoto, with a night spent at the mountains too. 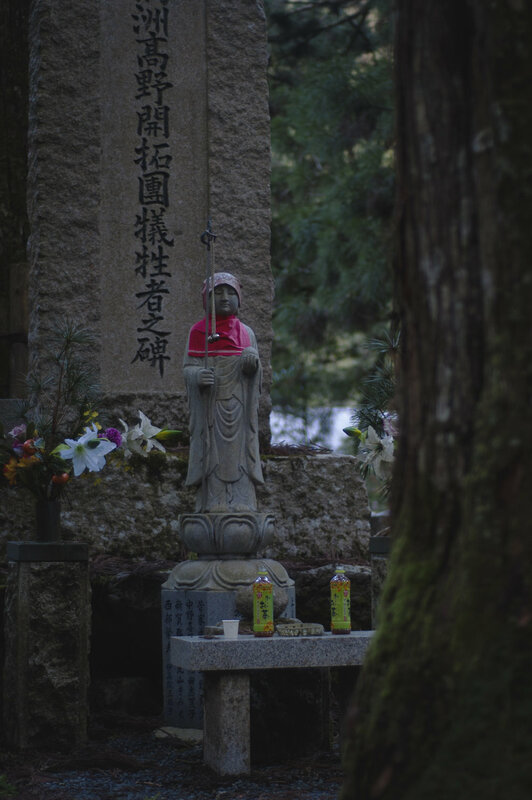 The main star here is undoubtedly the cemetery of Oku-no-in where the masoleum of Kobo Daishi resides surrounded by circa 200'000 tombstones and monuments. Some more peculiar looking than others, as you will notice, walking past giant coffee cups, spaceships etc... There is also plentiful shrines in the town to visit, along with walking the Women's Pilgrimmage route and participating in the 6am morning chant. Not to mention, taking the mandatory cable car to reach the mountain in the first place is quite the adventure! For the photo diary of this excursion, click here. Commonly, people stay at temple lodgings when visiting Koya-san. The more budget friendly option however, is to stay at Kokuu Koyasan Guesthouse, which was a great place from about £24/night. Inexpensive, friendly staff and very clean in a capsule format. The region is famous for its shojin-ryori cuisine, which is traditional Buddhist veggie (vegan actually!) grub. It is normally based around some soybean based food, like tofu, accompanied by wild mountain plants said to bring balance to the body, mind and spirit. As I have understood, this will be served if you decide to stay in temple lodgings if booked in advance, but you may also find shojin-ryori in restaurants around town. Do note that everything closes around 5pm, except the new convenience store which remains open until 10pm. Big news on the mountain! There is a vegetarian café in town too, called Bononsha. I never got around to visit as they are closed on Tuesdays, but I hear they do a tofu cheesecake (!!!). From Kyoto, get the JR Nara Line, getting off at Nara (45 mins). From Nara, take the JR Wakayama Line to Hashimoto (100 mins). Make sure it is a direct train to Hashimoto, on some you might have to change trains at Oji or Takada. Switch to the Nankai Line at Hashimoto to Gokurakubashi (45 mins). 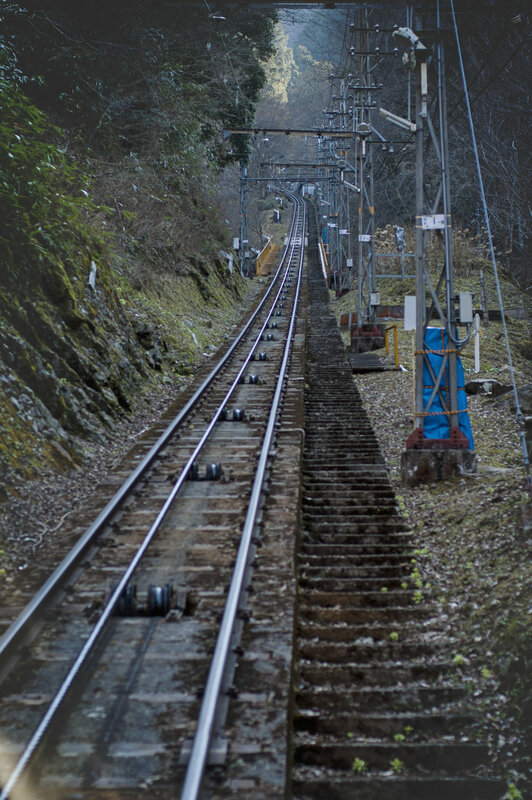 This is a private line and will not be covered by the JR pass and will cost an additional JPY440, but also includes the funicular up to Koyasan from Gokurakubashi (5 mins). From Koyasan bus station, no walking is allowed so you will need to either take the bus or a taxi to your accomodation. Hakone is a little mekka for museums - and there seems to be something for every taste. We start by visiting the Museum of the Little Prince (strangest location to find on a mountain top in Japan right?!) as it is located right next to our hotel. The next morning we take the bus to Hakone Open Air Museum. Another reason Hakone is a popular destination, amongst tourists and natives alike, is that one is meant to be able to see landmark Fuji-san from there on a good day. For some reason I completely forget about this, even though it is the reason I want to visit Hakone in the first place. Blinded by all the museum options I suppose. There is also an adventerous circular loop you can do around the place, including cable cars and pirate ships (!!! ), search for "Hakone Loop". 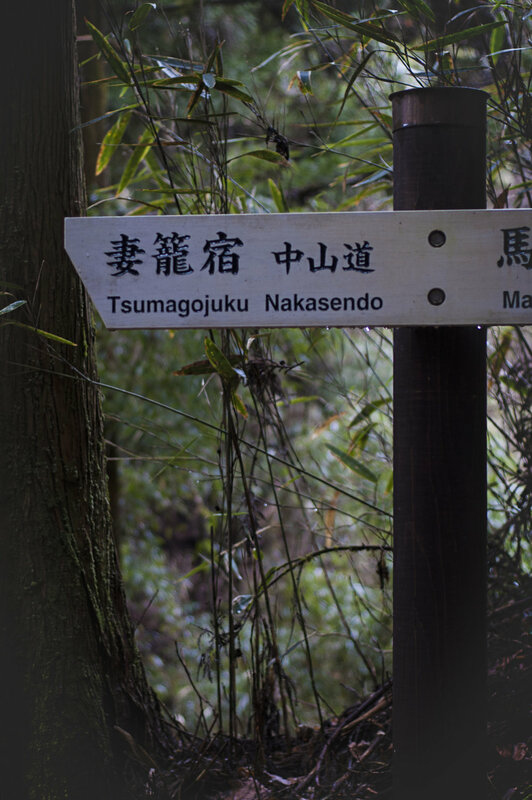 For the Hakone photo diary, click here. By far our most expensive stay, at £113pp/night, is at Mount View Hakone. The place is beautiful, and includes breakfast and dinner so decorative it would make the best of instagram foodies jealous and free access to their outdoors onsen. You can also book a spot at a private onsen, but there are hardly any other bathers in the public one when we go there after dinner anyway. As the hotel includes half pension, we only eat out for lunch. A stone's throw from the Open Air Museum I see a sign in the window announcing they cater for vegetarians. Turns out Kippei even marks out vegan options in their menu, AND it is probably the tastiest sushi I have ever had to pleasure to devour. There are also a bunch of convenience stores around the mountain. From Gokurabashi, take a train to Osaka's Namba Station (80 mins) on the Nankai Railway. Make your way from Namba Station to the main Osaka Station. From there, catch a Tokyo bound train getting off at Odawara (139 mins). From Odawara Station, you will need to catch a bus up to your accomodation for the night. As we return back to the station at Ueno, everyone seems to be on a rush! The tempo is definitely higher than the usual tokyoitans pace, and not just because we have been away from the busy city for a few days. Turns out they are all rushing off to buy take away to have in the park, because the sakuras have finally started to bloom! 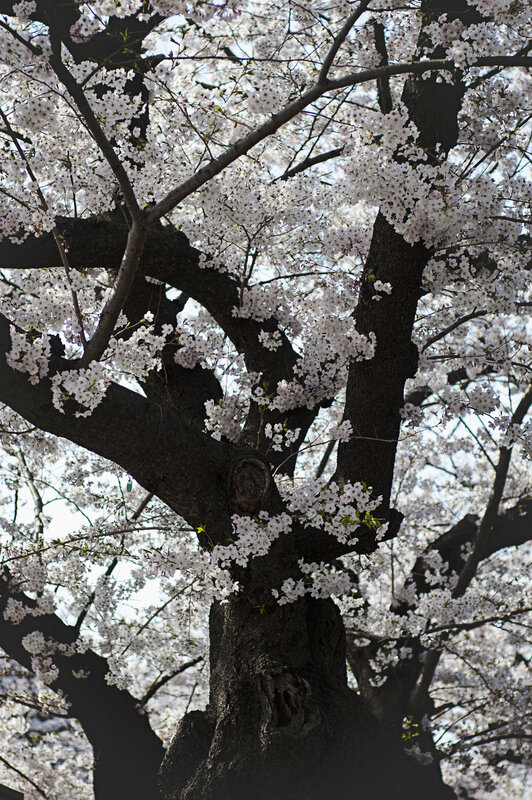 Hanami time! So in an orderly fashion, watching the pretty in pink petals is what we do during our last days in Tokyo. At the Ueno Park, which has turned into one big picnic ground (it is so interesting to se the Tokoyoites, normally so reserved, let loose) and also at the much less crowded Aoyama Cemetery which presents itself like a wee oasis in the concrete jungle. Apart from flowers, we also watch stationary in the Ginza district. After a lunch at the Tsukiji market (order veggie starters for vegans!) we walk down the shopping district. On a mission to reach Itoya - aka stationary heaven - a seven storey building full of pens, paper, filofaxes, washi tapes... Mmm! The accomodation, eateries and getting around information can be found in first Tokyo paragraph at beginning of post. From Hakone, take the bus down to Odawara train station and from there catch a train back to Tokyo. You will arrive at Tokyo Station. On leaving back to the airport, make your way out to Tokyo Station once again to take an airport bound train. yukata - traditional clothing, like a "summer kimono"
AirBnb - renting accomodation straight from the locals. Booking.com - search engine for accomodation worldwide. HyperDia - to check train time tables and routes of Japan. Pocket wifi - sometimes offered from your airbnb, a portable wifi device comes in handy for map reading, browzing for a lunch spot, etc. If you have any enquiries, do not hesitate to drop a comment below or email me at linneasjberg[at]gmail[dot]com, and I will try my best to answer. This post contains affiliate links to help the running of this blog.